"The data center is this massive, sprawling complex. I've seen pictures of it, but it's different from the air. You get a sense, really, for the scope of this, the scale of what they're doing there." To be fair, it shows how much freedom we have in this country. 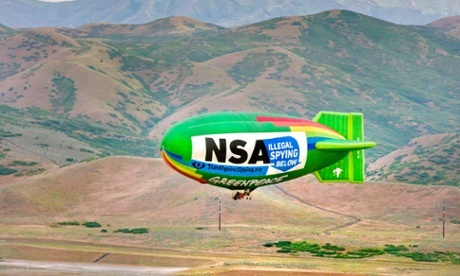 In places like communist China, you can't go around flying blimps over your government's top secret spying facilities - you'd get shot! Interesting to view the map in street view. They've built-up all around the facility so it's not visible from Highway 68. And they say we can't build anything in America any more. We showed you.